An outpouring of raw emotion, connection, and vulnerability, VON GREY’s ‘In Bloom: Acoustic’ EP taps into human depth with breathtaking orchestral folk grace. Out of darkness, comes light; out of instability, comes balance; out of pain, comes beauty. Life is not without its challenges, but every hardship is an opportunity for growth: A chance to deepen your relationship with yourself and others. 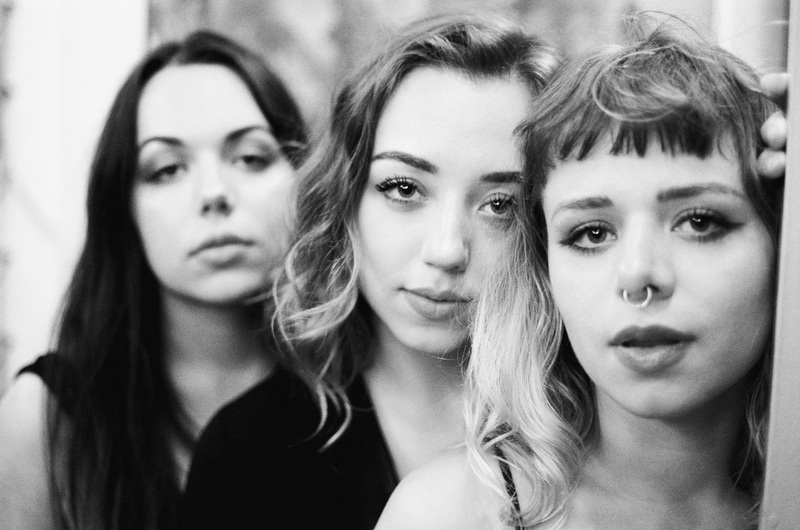 The obstacles we face and how we face them define who we are and how we relate to the world – which is why VON GREY’s new EP is their most important record yet. An outpouring of raw emotion, intimate connection, and haunting vulnerability, VON GREY’s In Bloom: Acoustic EP is an empowering, cathartic coming-of-age collection that taps into the darkest depths of human experience with breathtaking orchestral folk grace. Hold me; won’t you please hold me? Atwood Magazine is proud to be premiering VON GREY’s In Bloom: Acoustic EP, out everywhere this Friday, July 20, 2018. 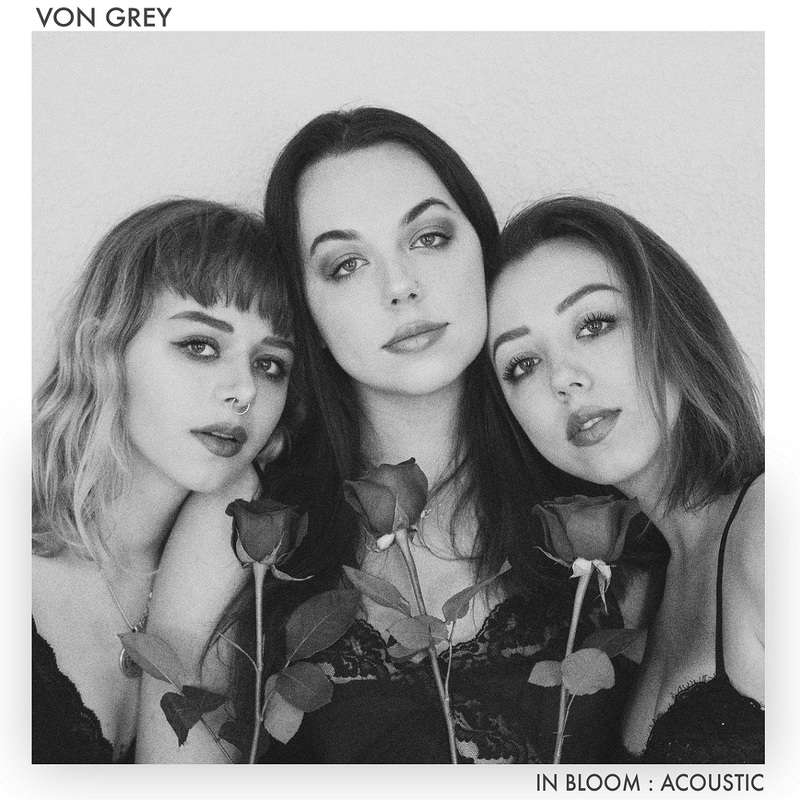 An emotive album defined by the healing, growth, and transition process, In Bloom combines new, “acoustic” versions of previously-released VON GREY songs with sonically-similar original material to create an unforgettable, rejuvenating listening experience. There’s no question that In Bloom marks the beginning of a new chapter for VON GREY: Hailing from Atlanta, Georgia, the young trio of sisters Kathryn (23), Annika (22), and Fiona (20) von Grey debuted their band five years ago in 2013, and have already played over 500 shows, performed on late night television, and featured in major music festivals. Their sound has developed tremendously over the course of three EPs as the trio experimented with various elements of folk rock, orchestral pop, and electronic music. Yet no matter what instrumentation they’ve employed, the classically-trained sisters have always been distinguished through their rich, lush vocals – and it is this defining trait that truly stands out, perhaps more than anything else, on In Bloom. 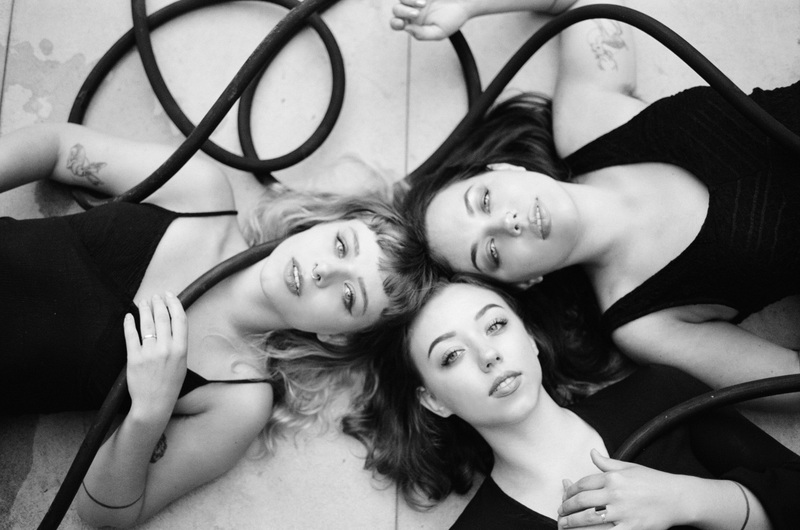 Burdened by the weight of inner and outer change, turbulence, and turmoil, In Bloom is not for the faint of heart: VON GREY unravel themselves through beautiful poetry and incredible harmony, inviting us to peel back our own layers in the process. They reach their pinnacle in closer “Dawn,” a band (and personal) favorite that explores connection, vulnerability, and love through a truly awe-inspiring, jaw-dropping orchestration and vocal arrangement. Can you stand up, will your knees give? Are your markings stuck, how much have you hid? VON GREY have never sounded more themselves than they do on In Bloom. As they are only in their early twenties, there is no doubt that the trio’s best work is still ahead of them – the bar is just that much higher than it was before. 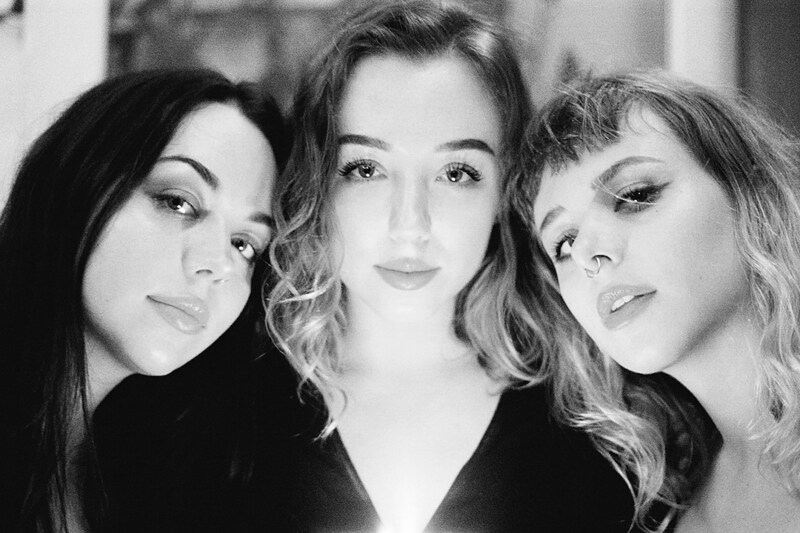 Experience the full record via our exclusive stream, and peek inside VON GREY’s In Bloom: Acoustic EP with Atwood Magazine as sisters Annika and Fiona von Grey go track-by-track through the music and lyrics of their new EP! In Bloom: Acoustic is out everywhere this Friday, July 20, 2018! “Plans” is the most lyrically immediate song we have ever written. Most songs come as an act of retrospection. Even if they’re written in the heat of a moment — it’s not usually right as something monumental is occurring. “Plans” was and is different insofar as that it was written at a piano with tears and a shaky voice as a necessary tool for emotional processing. The three of us were all at the precipice of big changes that involved leaving our partners, homes, and sources of comfort for an indefinite period of time, and “Plans” evolved as a device for coping. “6 AM” was on our EP TRINITY. The song is about romantic tension, and while we love the way it sounds on TRINITY, we wanted to spend some more time with it again in order to make the sonic design match the sentiment we’d not previously attached to the song. This new incarnation is lush, filled with string pads, additional harmonies, and Kathryn killing it on the cello. “Poison in the Water”, another one of the revisited TRINITY tracks, was written during a time when our personal realities extended outside of ourselves, encompassing a feeling of creeping dread that was more environmental than individualized. The song is subtle but politically motivated. Whatever dread we were feeling then — it’s amplified now. Immensely. The song has grown in relevance for us, so we figured it made sense to sit with it a bit longer. This is a new chapter of the song that morphs our circumstantial perception in tandem with the vibe of the song. We wrote “Unclean” a little while ago with our dear friend Zac Poor. Writing songs with somebody else is always such an interesting experience, especially when a song reckons with deeply emotional and vulnerable sentiments. It’s funny — or maybe funny isn’t the right word — how some experiences can feel so earth-shatteringly intimate and yet be so universally relevant. “Unclean” was a practice in expressing truth without flourish. It’s so much harder to be honest without romanticized padding. It hurts a bit more that way. We really took the opportunity with this track to reimagine the arrangement and production, finding new ways to create loops and percussion. As musicians with little experience drumming, it was quite a process of trial and error to find percussive sounds that sat well in the track. From samples of paper smacked against a wall and various recordings of feet and hands banging on tables and floors, we built a belly of sounds that we think bring a more raw energy to the song. From that same resourceful creative space, we experimented with different recording techniques for the strings and ambient noises that weave throughout the track. Parents always say they can’t pick favorites, but “Dawn” is our little darling for the moment. The song handles the vulnerability that is forced upon women. Society is deeply conditioned to victimize women, making it easy for abuse of any kind — be it emotional or physical — to become internalized. “Dawn” is a song about community as a form of healing, and is meant as an outward and inward leaning embrace full of support, patience, and understanding.